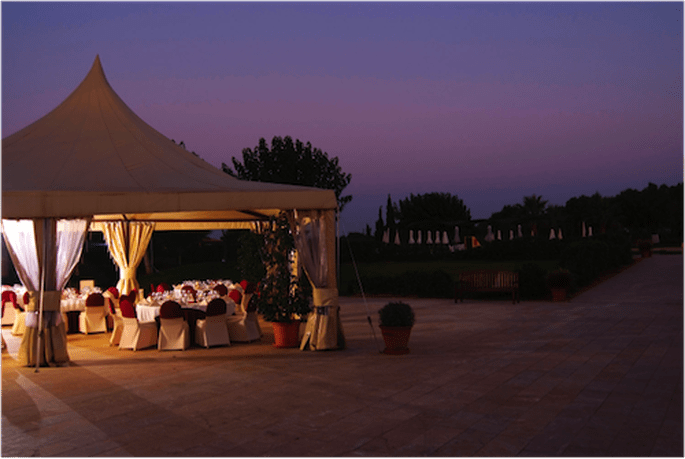 If you’re thinking of planning a destination wedding in Majorca, look no further than the IBEROSTAR Son Antem hotel, part of the exclusive IBEROSTAR Hotels & Resorts chain. Great location + great facilities = a great day! 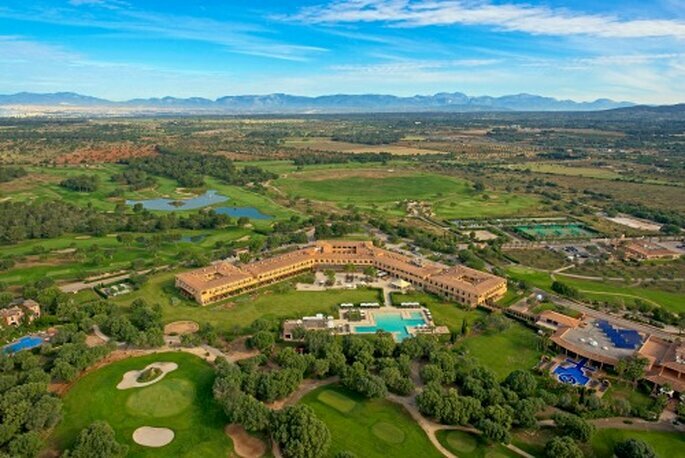 The 5 Star IBEROSTAR Son Antem is located in Llucmajor, in southern Majorca, in the middle of the countryside surrounded by almond and olive trees. 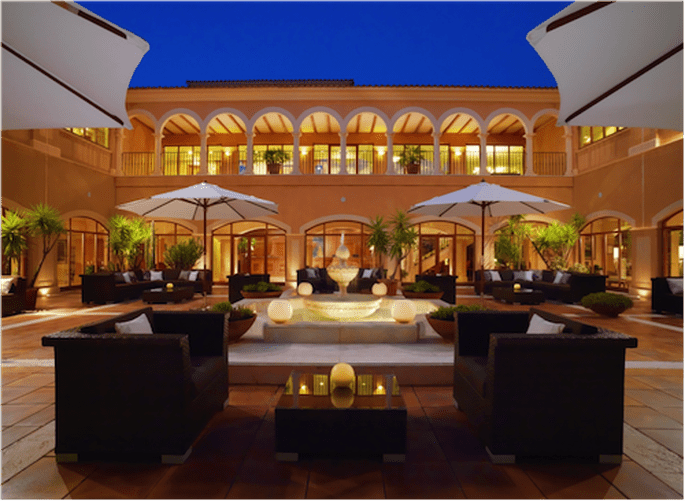 The nearby capital of Palma has a great atmosphere and like the rest of the island, some of the best beaches, while the hotel also has two golf courses. In other words, regardless of the size of your wedding party, there’s plenty to keep them entertained during their stay! The hotel has 151 rooms, with 8 suites for you and your guests. Perfect if you’d like to splash out for a really special stay. 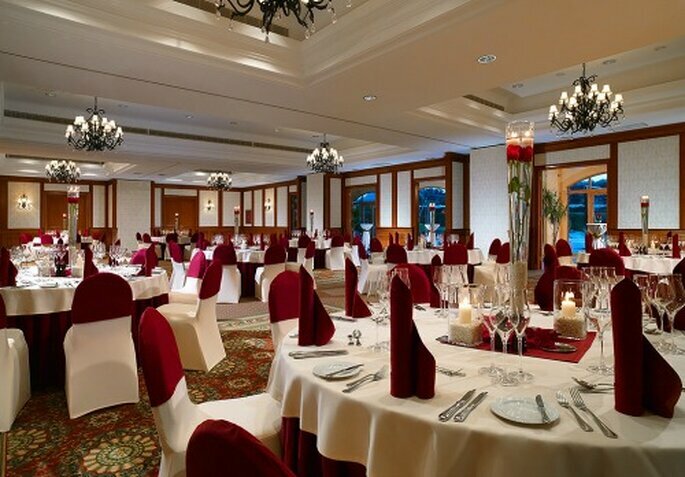 Planning the ceremony and reception is also easy with plenty of options for food and drinks. If you’re looking for an open air ceremony, there are plenty of beautiful gardens at the IBEROSTAR Son Antem where you can share your vows. As you’d expect from a venue of this category, the hotel has a team of experienced professionals who will work with you to plan your wedding. That way, no matter where you are, you can organise your big day without stress, safe in the knowledge that there are people on site who are looking after your every need. 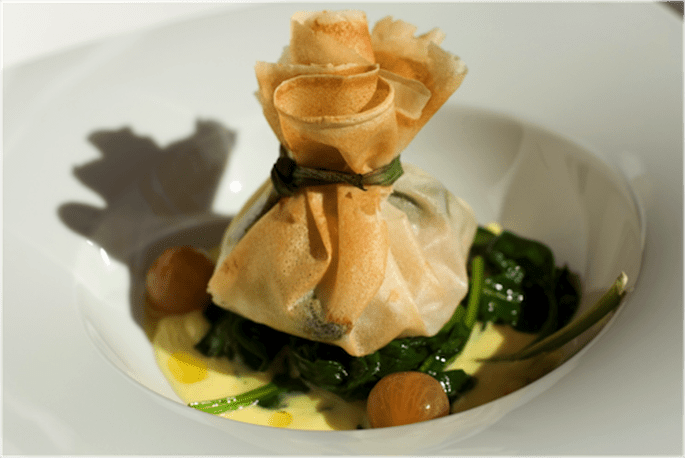 The chefs at IBEROSTAR Son Antem will work with you and the wedding planning team to organise your wedding day menu and drinks, including its exclusive selection of wines. That also includes the essential wedding cake – the perfectly sweet end to your reception! 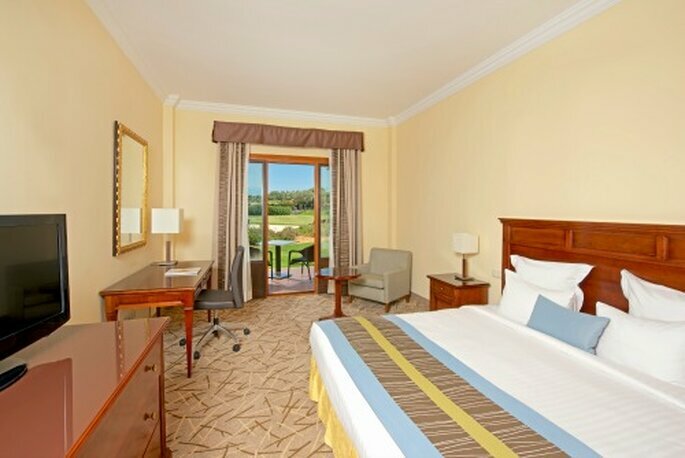 Don’t forget, after the big day, you and your guests can stay on at the hotel for a relaxing holiday. 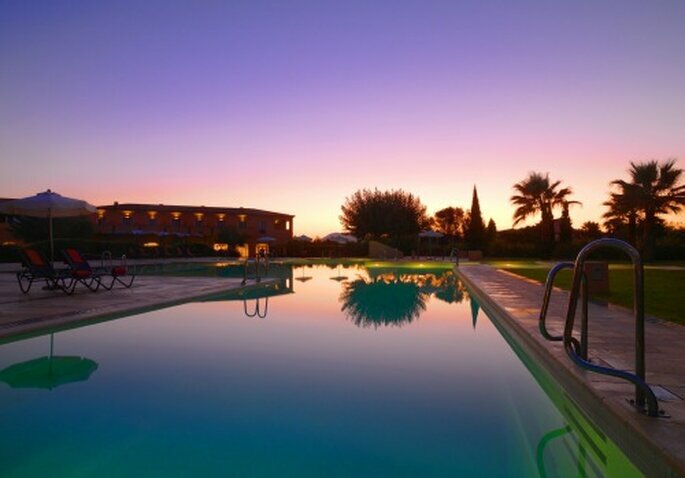 What better way to start your marital bliss than the chance to rest by the pool, eat great food and visit the hotel spa?! 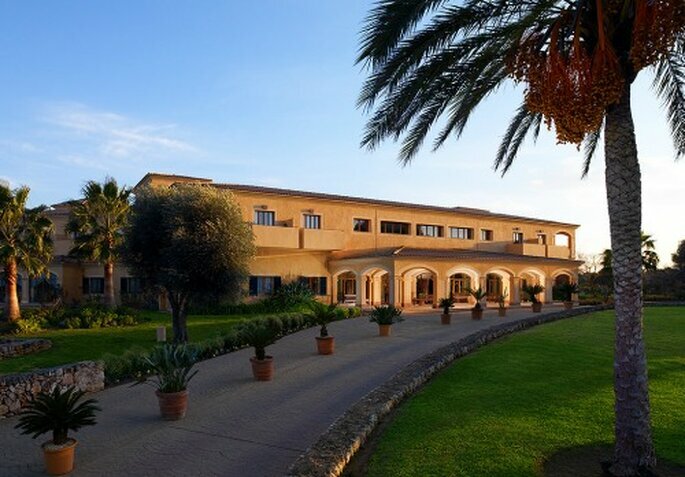 So, if you’re looking for a destination wedding location with a Mediterranean feel for your wedding in Majorca, plenty of luxury and great service (plus the fantastic offer above), we think you should look at the IBEROSTAR Son Antem. Definitely the place for the wedding of your dreams!